Firstly, this is something that is a must and can be very profitable. To me, you have not done your job correctly unless you have dried off the hair after you have cut it. 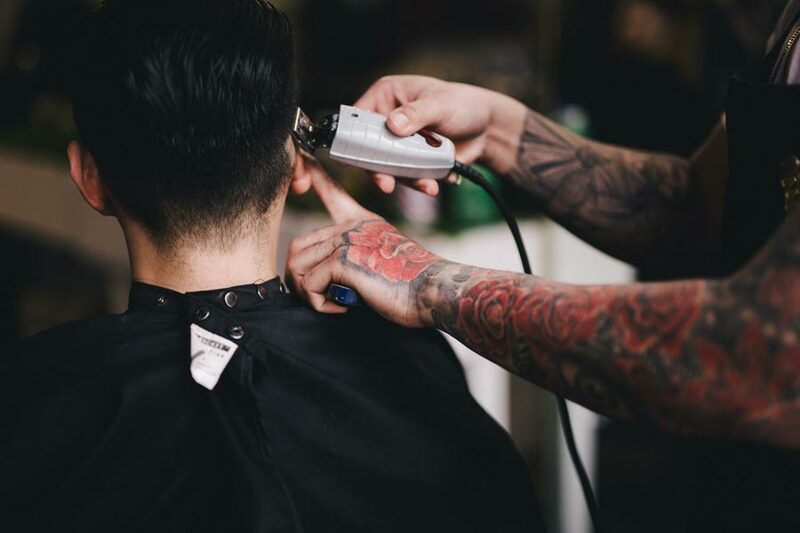 You need to do this for two reasons; one is to check your cut is perfect as we know wet hair always looks good, the second is because it’s our job to create a style and show our customer how to recreate this when they get home. Remember that the new generation of men may never grow up using a hairdryer. The next is to show what you are using and advise the client what is best for their hair type and style. Take your time in choosing a brand to retail, and perhaps stock a couple of brands. The brand needs to do the job be at the right price point and look appealing. Men want to spend money on themselves, just look at the thriving aftershave market. So, do your research find the right brands for you. Make sure these brands are not being sold in supermarkets or high street chains. Reputable brands will have sales teams and reps, so why not talk to the brands to see what they offer you? Do they have good point of sale and display units? Do they offer support and training in their product? These are all things worth considering. Give advice on how to recreate the style. Always dry off your haircut. Have a good retail area that invites the client to browse. Do your research and only stock brands that you cannot buy in the high street chains. Make sure the branding suits your style and clients. Utilise point of sale for branding and awareness. Have your staff trained on the products you are using. Knowing their benefits will organically increase sales. Once you become a retail champion, you will see your doors open to clients that want products in between haircuts. You may even find new clients come to your shop off the back of your product knowledge!